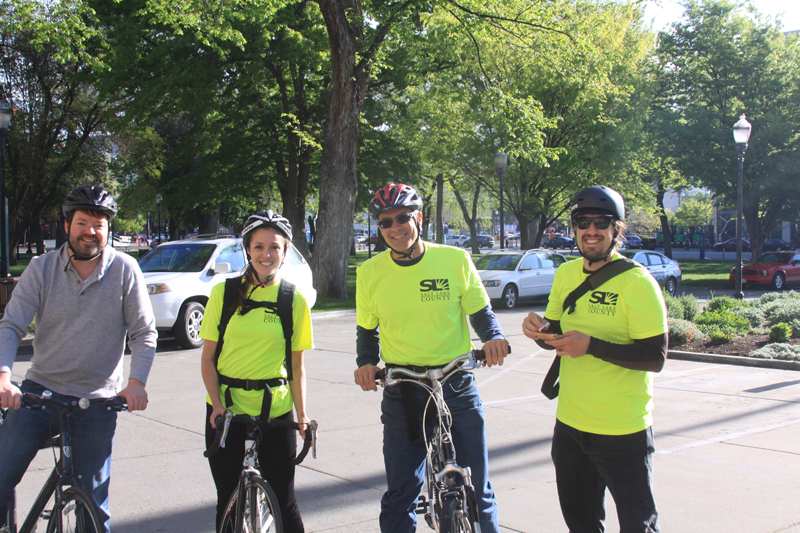 Salt Lake County: Councilman Arlyn Bradshaw, Advisor Megan Hillyard, Active Transportation Coordinator George Deneris, and Bicycle Ambassador Program Director Jack Lasley. The yellow shirts signify Ambassadors. Look for them at upcoming bike events and on the road. Photo: Dave Iltis.